Eagle Hit by Semi Truck Rescued by Warden — Raptor Education Group, Inc. 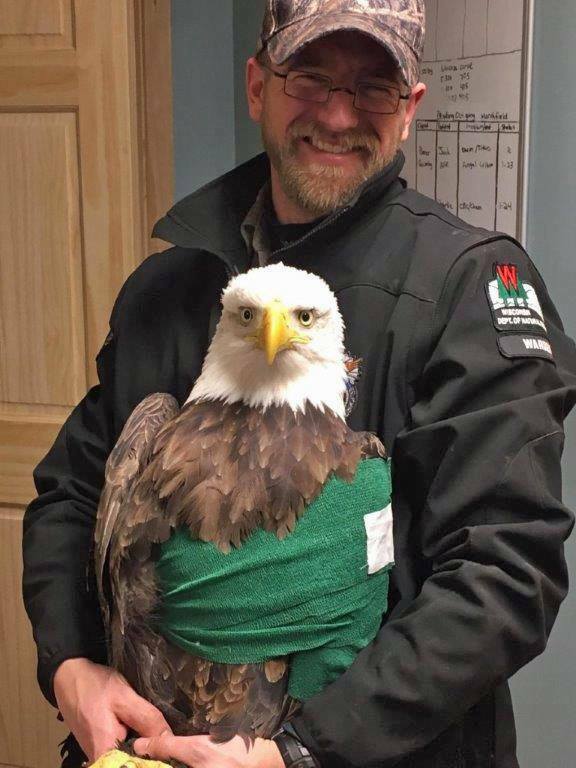 Thanks to DNR Warden Ben Mott and Dr. Kristina Mott for rescuing and giving medical aid this adult female Bald Eagle after she was hit by a semi truck. The Bald Eagle had been dining on a dead raccoon that was on the side of the road. It is important to move road killed animals off the road, a place well off the road prevents scavenging Bald Eagles, and other scavenging animals from being hit by traffic.